As expected the Washington Redskins have added another cornerback to the team after the injury suffered by second year corner Bashaud Breeland. 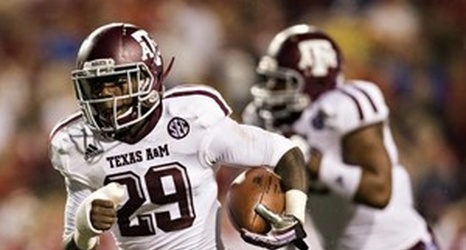 The team has announced that they have signed undrafted free agent rookie Deshazor Everett out of Texas A&M. Bashaud Breeland injured his right knee on Friday and is expected to be out 4-6 weeks in recovery. He was expected to push veteran DeAngelo Hall for a starting CB spot and Breeland had also been suspended for the first game of the season by the NFL. Gruden: CB Bashaud Breeland out 4-6 weeks with knee injury; “best-case scenario” after scary scene on practice field yesterday.